On Wednesday, April 3, 2019, surrounded by his family, Paul Ryan, beloved husband and father, passed away at age 69. Married for 50 years to Carmen, nee Cannella, loving father to Michelle (Brian) Backus and Michael Ryan. Proud grandfather to Fallon, Danielle, Miranda, Michael, Adam and Henry. Paul was preceded in death by his father Thomas, his mother Bertha (Babe), brothers Thomas and Steven, and sister Josephine (Leighty). 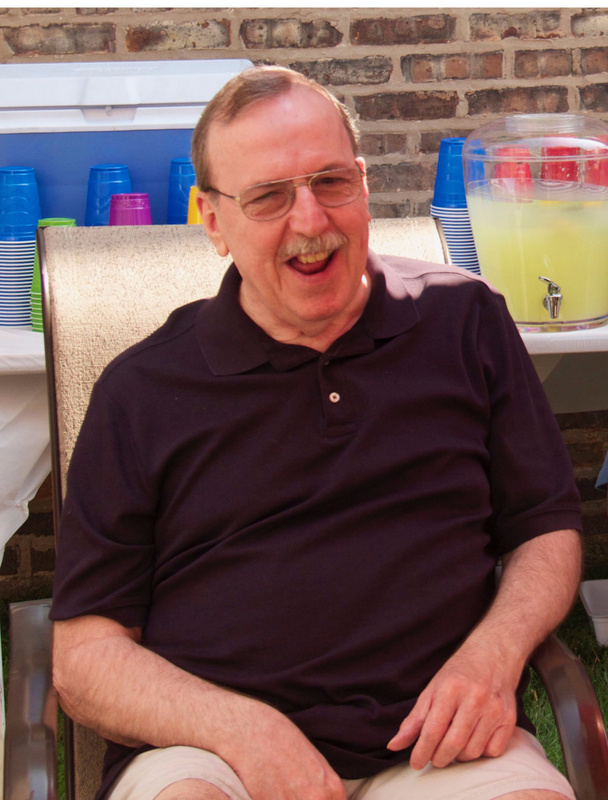 Visitation will be held on Saturday, April 6, 2019 from 10am to 1pm at Conboy-Westchester Funeral Home 10501 W. Cermak Rd., Westchester (2 Blocks west of Mannheim Rd.). Private cremation services to be held. Carmen, Michael and Michelle please accept my heart-felt condolences on Paul’s passing. I am very saddened and extend my thoughts and prayers to you all at this time of great personal loss. Beautifully written. My condolences to all and we will see you on Saturday. Carmen, Michael, Michelle and the Paul Ryan family. I offer my condolences about the passing of Paul. And sorry I will not be able to attend the wake Saturday. But offer my thoughts and prayers to all at this time of loss. I wish to extend my deepest condolences to the Ryan family. I will always have fond memories of the very first time I golfed……at the Paul Ryan Open! What a larger than life presence he was! Dear Carmen and family I am so sorry for your loss. You are all such a lovely family and I remember you from years ago when we used to hang around You were always in my heart and I have fond memories of all our years . I’m so sorry I will not be able to attend but I’m there in spirit I wish the best to all of you my prayers are with you. Paul was my friend and favorite GC at Northwestern University until 2004 and then Michael Ryan took over. I’ve missed Paul for many years, he worked hard and played hard! Man could he drive a boat. So sorry for your loss. I will never forget Paul as the neighborhood watch man. He would talk to me and tell me things out the front window. We understood each other. Carmen, I can’t make it, but Bob will come. I love u all and won’t never forget Ryan. i probably won’t be able to attend. My thoughts and prayers are with you at this difficult time. Unfortunately, I am still out of town, but send out wishes of comfort and peace to all of his loved ones. We are sorry to learn of Paul’s passing. We are sure he will be missed by all who loved him. Carmen, we hope you can find comfort in knowing that you provided such great care for him. We remember visiting with you at Ryan family events over the years. Michael, I am so sorry for your loss. My thoughts and prayers are with you and your family. My deepest condolences for your loss. I will always treasure the memories of my time together with you and your father. I will be forever grateful that he brought the two of us together! Unfortunately I was unable to attend the service, and I am sorry to have missed it. I am keeping you in my thoughts.